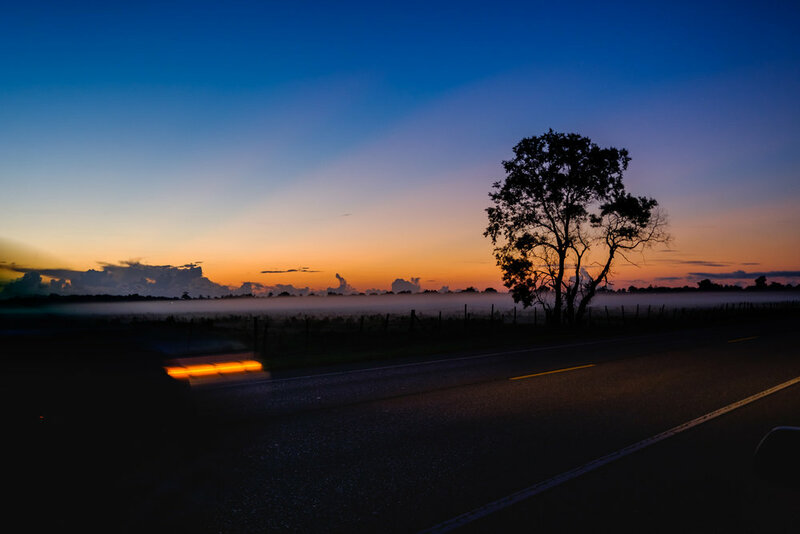 One of the most common thought processes people go through while reflecting on their work, hobbies or pursuits is "what would I do differently?". I occasionally field questions from folks getting into kayak fishing, asking some general questions about how to approach learning a new sport, and the question of focusing on one area vs bouncing around to a new spot every week is one that I think I could have approached more systematically in the first couple years of kayak fishing. 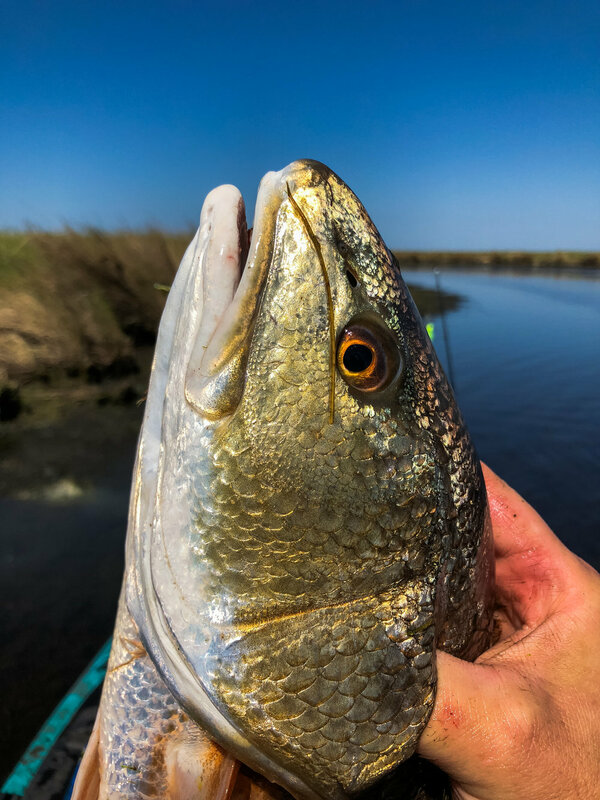 Here in Louisiana, we are truly spoiled with and embarrassment of riches - from my house in New Orleans, I can head East to St. Bernard or East Plaquemines Parish, and be at awesome fishing grounds in under an hour. Or, I can hit Lake Ponchartrain and try my luck on the bridges. Or, I can go fish freshwater. If none of that suits me, I can try down Highway 23, paralleling the Mississippi all the way to Venice and the end of the road. If that gets boring, I can go fish Leeville, Golden Meadow, or Grand Isle, or even Fourchon. I can fish the beaches, I can fish the marsh, I can fish the freshwater swamp. All within 1-3hrs of my house. You get the idea. Now, the issue with this plethora of choices is this - if you bounce around too much, I think you don't get as much of a chance to learn the behavior of the fish and the marsh in relation to changing weather conditions. 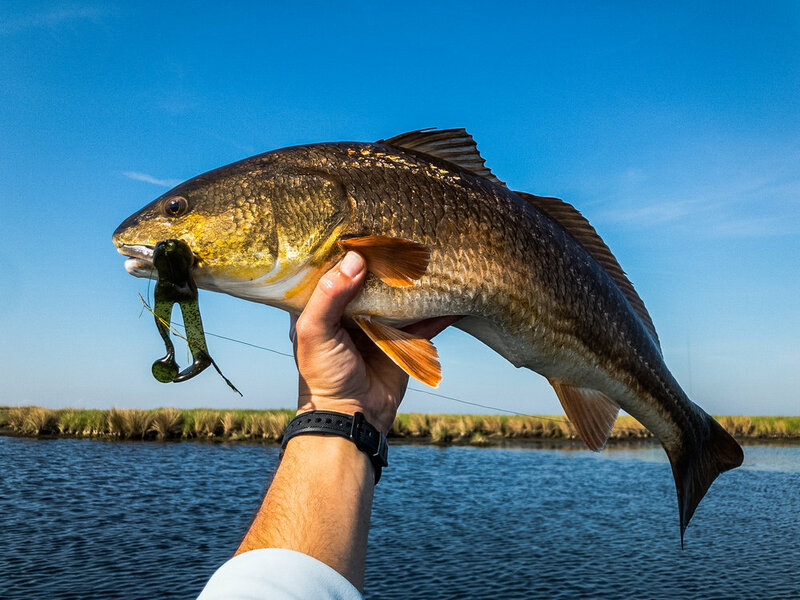 Over the first couple of years of kayak fishing Louisiana, I was so excited about checking out different areas, I was all over the place fishing different spots, and while it was exciting and a great adventure, this Spring into early Summer, I thought I would take a little different approach. Of course, this decision was partially mandated by lifestyle changes - being the father of a rambunctious 13 month old boy has (ahem) limited my opportunities for the all-day trips. 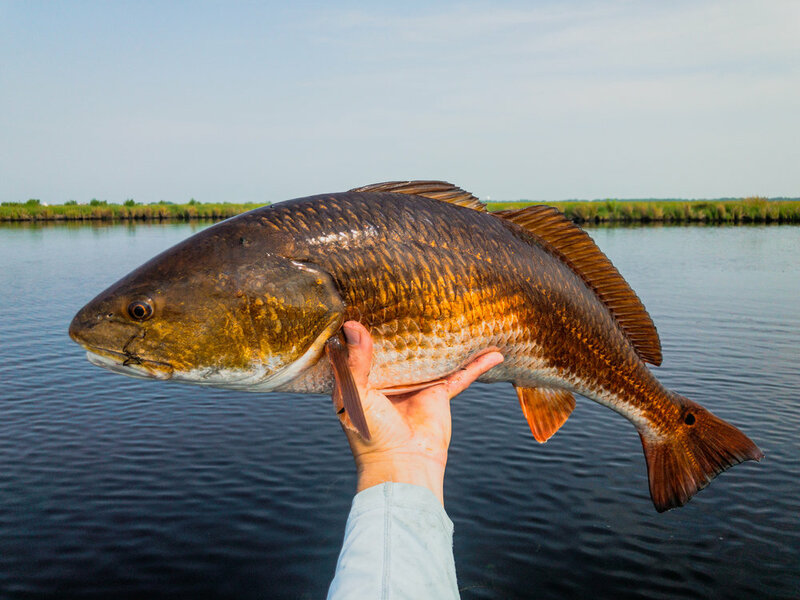 On the other hand, I'm lucky to live just 40-45 minutes from extremely fertile fishing grounds in St. Bernard parish, world renowned as a redfish destination. Why fight it? Now that the weather is getting hot, and I need to be back to the house and ready for dad duties by mid-afternoon, I decided I would spend some time covering my local water hard, really learning and covering the area thoroughly. Jeffery Oliver throwing a cast early in the morning. To that end, I've spent the last few weeks meandering through a portion of marsh that, while it does require some paddling to get to, is close to my house, and (during the week) almost dead quiet in terms of boat or kayak traffic. It has been a very fruitful series of sessions, providing a lot of useful information about fish patterns and habits in the marsh, as well as helping me iron out some personal issues, including some bitter disappointment with a the end of a long-time fishing friendship due to circumstances beyond my control, and the adjustment to fishing around a much busier schedule that has come with being a dad. Let's also be honest - redfishing in St. Bernard Parish this time of year is incredible - why fight it?? 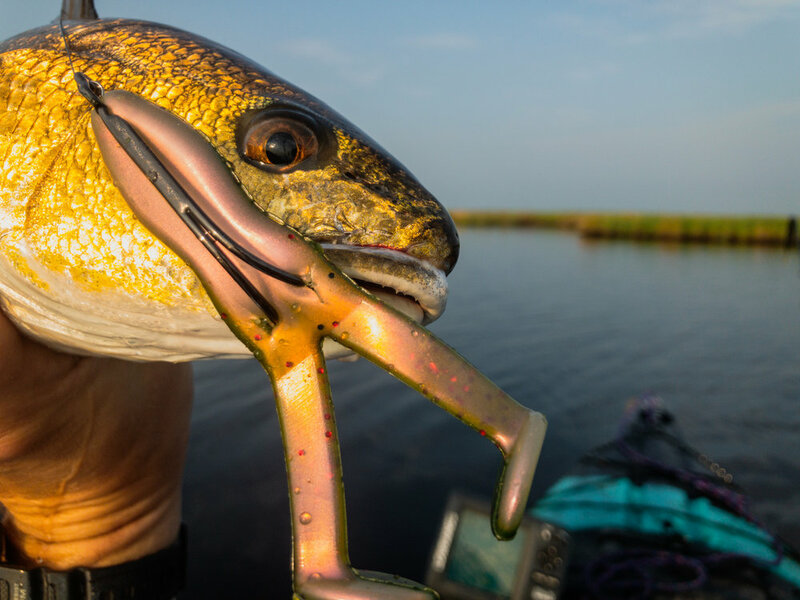 My secondary goal would be to catch some fish on a variety of lures, including a topwater frog, inline spinner, and my usual suspects - gold spoon and weedless plastic. 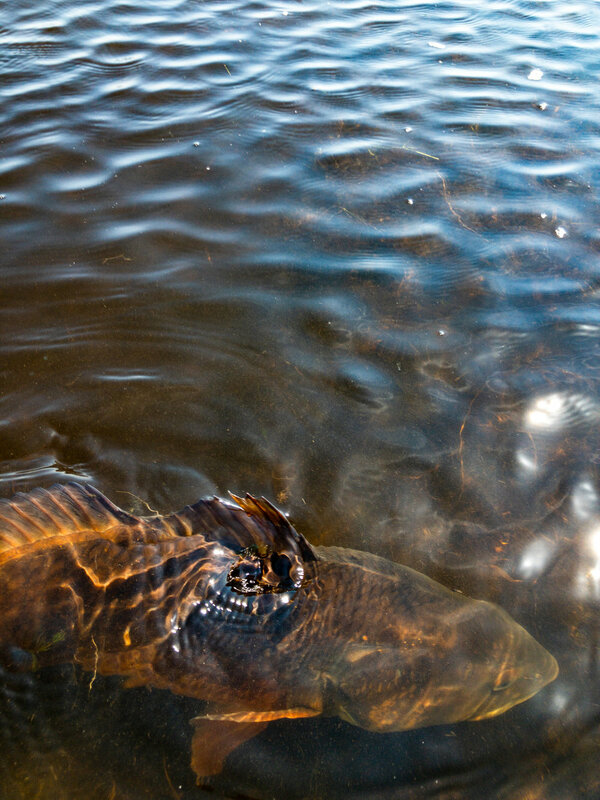 Redfish do stack up in areas, and believe it or not, can be found for weeks at a time in the same areas of the marsh. By same areas, I mean I found my pliers exactly a week after I dropped them overboard, because I was in the exact same area, with the exact same clean water and saw them. 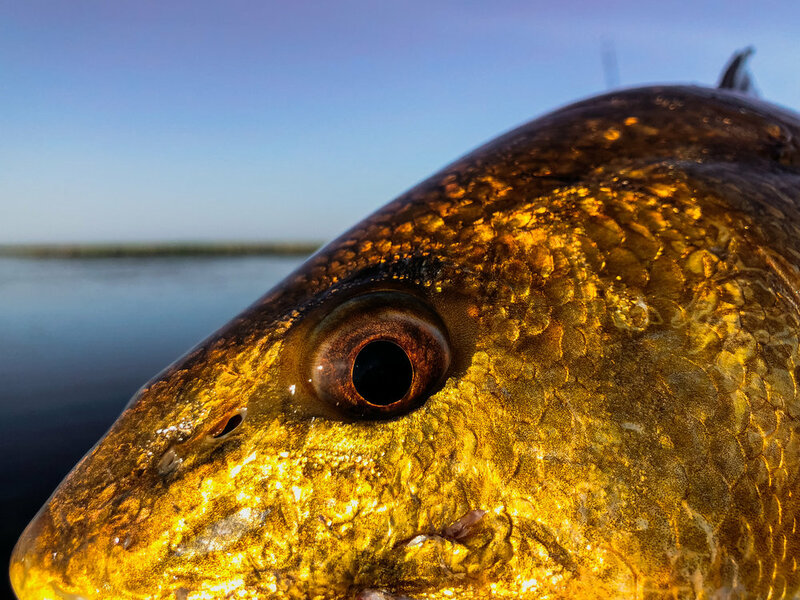 While sight fishing is my favorite thing to do, and optimum sight fishing conditions might land about 9am-12pm due to the angle of the light, I have noticed a serious tapering off of the willingness of some of the schooled up redfish to eat after 8-8:30am. 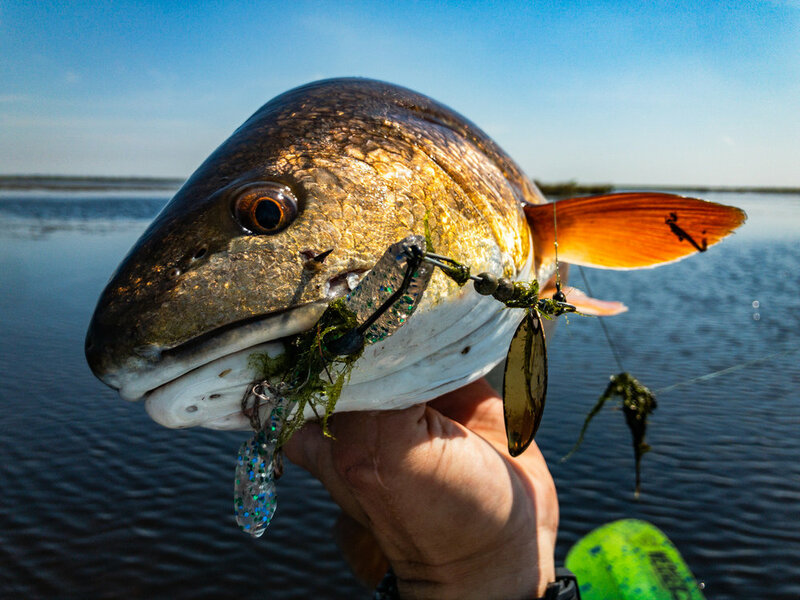 The redfish I've cleaned have been chock full of tiny crabs, and my working theory is that they are just filling up early, and ignoring artificial lures later in the day. I have had a lot of somewhat irritating, somewhat fun times casting at stubborn fish from 9-11am over the past couple weeks. 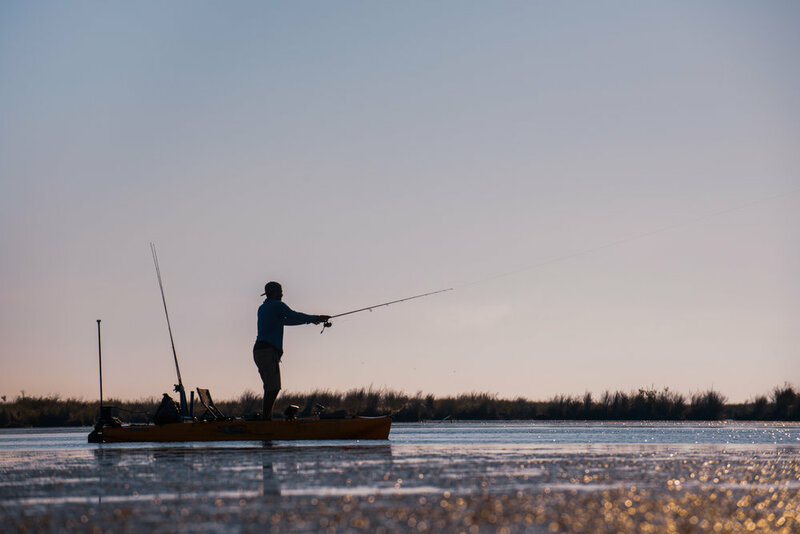 There are areas of the marsh that just don't hold a lot of redfish for whatever reason, and it's worth it to recognize that and keep moving. 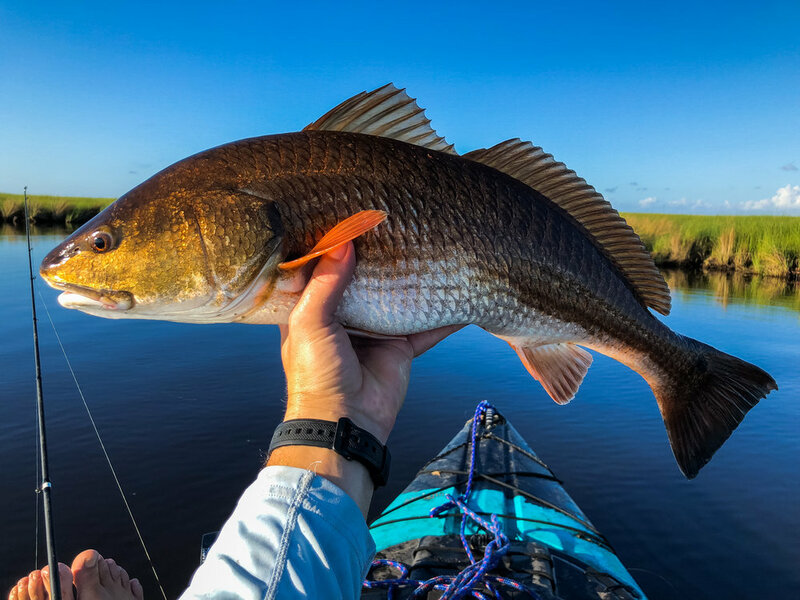 If the water is clear, and you aren't seeing definite redfish, or definite signs of waking/feeding/spooking fish, there isn't any point in dawdling, no matter how fishy it might look to you. 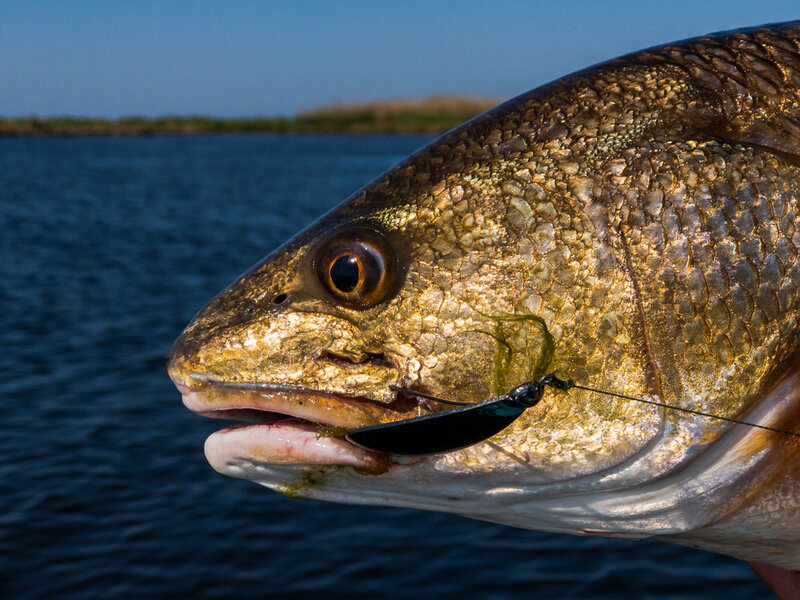 The many, many subtle signs that you might be wasting your time casting at gar, mullet, black drum or sheepshead (assuming you're just targeting redfish). Hitting the same areas, and observing the fish and which areas hold a lot of gar or mullet, and often just watching those fish move, has helped further solidify my internal knowledge of "is it a redfish?". 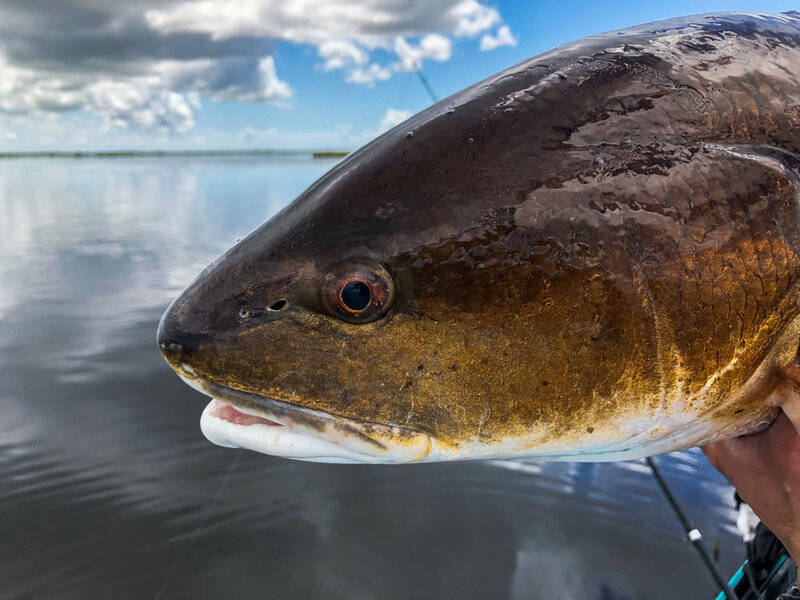 The human brain is incredibly good at patterning, and the more time you spend letting your mind work out the "is it redfish or not" game, the less time you are likely to waste on species you don't want to catch. Sandwiches at Last Stop are clutch. Ham and Swiss on a bun, dressed. Call it in when you're done fishing, and enjoy on the way home. Crabbers have really questionable taste in music, and when they come around, you might as well just wave, say hi, and settle down for a little snack and refreshments, and let everything settle down for a few minutes. You probably need to drink some water and chill for a minute anyway. Fishing after 1pm is pretty pointless this time of year, unless you are really a glutton for punishment. Inline spinner = excellent, excellent lure for areas with hydrilla beds. 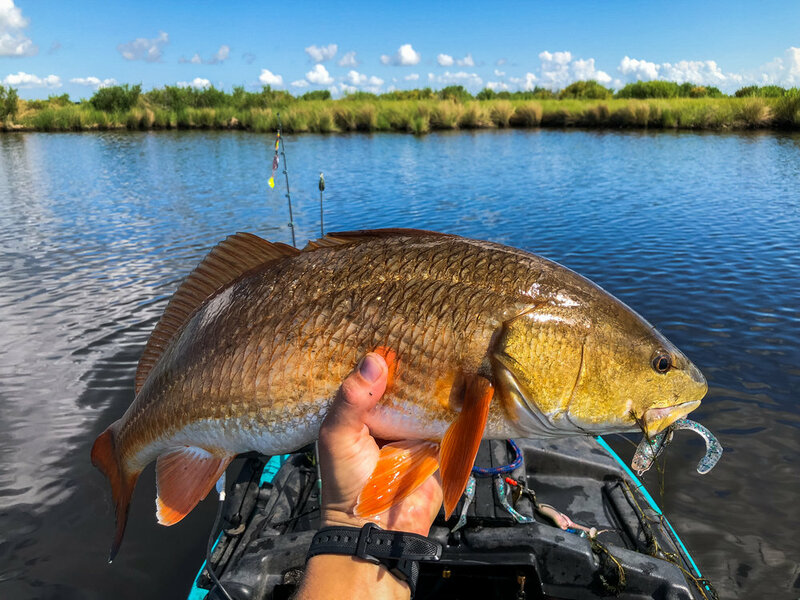 One of the trips involved a stop at on of my oldest and favorite spots, and the redfish were super thick in the grass. It was overcast and windy, and the inline spinner was a perfect lure to get their attention. Last Stop is the literal "last stop" if you need to drop some brown trout off before you go on your fishing trip. Bless them and their clean bathroom. Spend some money on the way home. Topwater frog - super fun lure to throw, incredible blowups, but don't be mad if you miss some fish, and be prepared to throw it about a million times. Don't stay out longer than you should, because your 13 month old son is going to skip naptime, then walk on your face and probably break some expensive stuff while you're lying there like a corpse because you were too stubborn to call it a day when you should have. 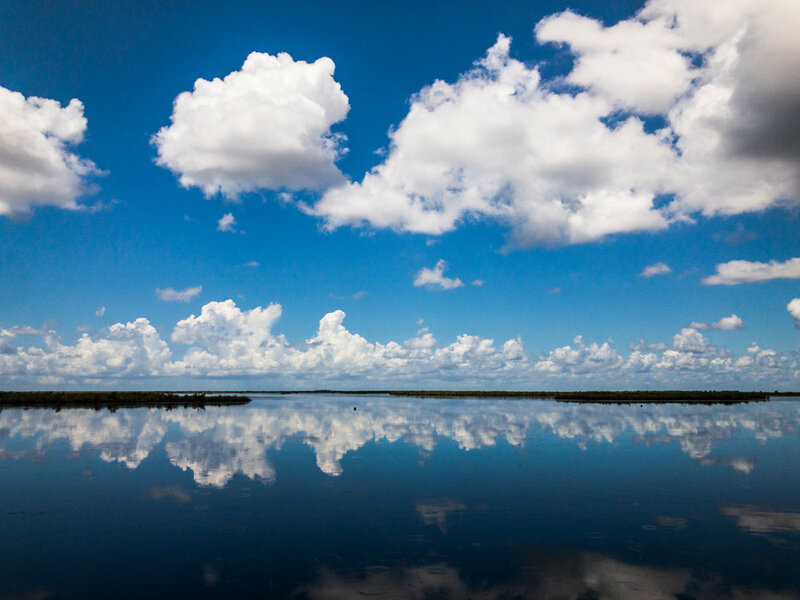 If you're lucky enough to get a day where the water is glass like the photo below, take some time to recognize what it is you're experience, and HOPE like hell that future generations will get to experience the same thing.